MILAN (AP) — Italian news agency ANSA says new excavations in the ancient buried city of Pompeii have yielded the undisturbed skeletons of people who took refuge from the eruption of Mount Vesuvius in A.D.79. The director of the Pompeii archaeological site, Massimo Osanna, told ANSA on Wednesday the skeletons were still intact, having been left undisturbed despite looting at the site centuries ago. Osanna called it "a shocking find, but also very important for history." 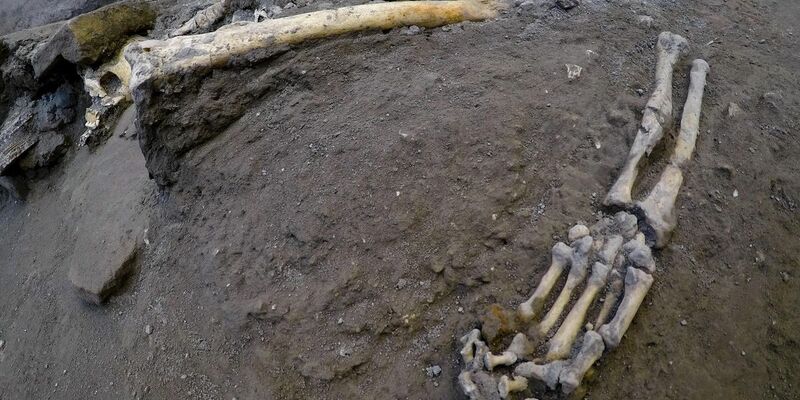 The bones — believed to be those of two women and three children — were discovered inside a house holding a charcoal inscription that historians say dates the deadly eruption to October, two months later than previously thought. Archaeologists think the people sought safety in a small room but were either crushed when the roof caved in or burned.